With the help of our professionals, we are capable of offering a premium quality Niger Seeds. Our offered seeds are processed at our vendor's end using high quality nutrients under proper supervision. These seeds are rich in oil and commonly are preferred by bird lovers as these contain the necessary nutrition needed by birds. - Niger seed is nutritious seeds that are utilized for birds feeding, soap making, paints preparation and for several other applications. - These can attract several tyoes of birds and helps to keep them fit and healthy. Niger seed is obtained from the guizotia abyssinica that is sturdy, branched annual herb, vastly grown for its comestible oil and seed. We are the most prominent producer of niger seeds in india. 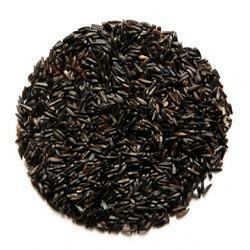 These niger seeds are available in large stock with us due to which we are able to cater the bulk requirements of the clients. Niger is an oilseed crop that is produced from Guizotia abyssinica. Niger seed is high in oil and protein content. Its fat is edible, but is widely used for industrial purposes such as soap making, paints preparations and preparation of different types of emulsions. The seeds are used for wild bird feeding. Guizotia abyssinica is an erect, stout, branched annual herb, grown for its edible oil and seed. Its cultivation originated in the Ethiopian highlands, but today it has spread to other parts of globe including India. Indiaâ s total Niger Seeds production is around 200, 000 tonnes and it exports around 60% of it worldwide. Niger seed is one of the ingredients of bird feed. In India, niger seed is one of the major oilseeds cultivated in the country. Niger seed is collected from forests in the states of Orissa, Madhya Pradesh, Andhra Pradesh, Bihar, Maharashtra and Karnataka. Niger is an important oil seed crop which is widely used in bird feed. Our organization counted as one of the leading service provider engaged in rendering superior quality Niger Seeds. The Niger Seeds provided by our company are used in a number of applications. The Niger Seeds are a fruit technically known as Achene. They are extensively used as bird Feed. 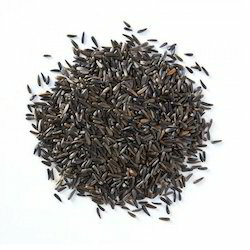 Niger Seeds made available by us are 99% pure.